Hey Guys, Today, I am going to write about World’s Thinnest Mi LED Smart TV 4 by Xiaomi. Xiaomi has been in India for nearly four years now, and their smartphones have become very popular since then. 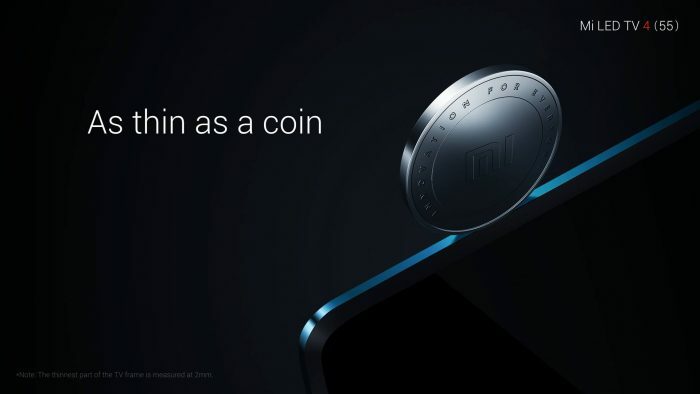 I have seen many videos of smartphone launch by Xiaomi, and have seen a lot of journalists asking one common question to Xiaomi representatives. Well, it took almost four years, and since the past few quarters, Xiaomi continues to be giving some tough competition to Samsung in the cellphones industry. Imagine the time couldn’t have been suitable introducing its much-awaited product category. We eventually have the Mi LED Smart TV 4 with us. 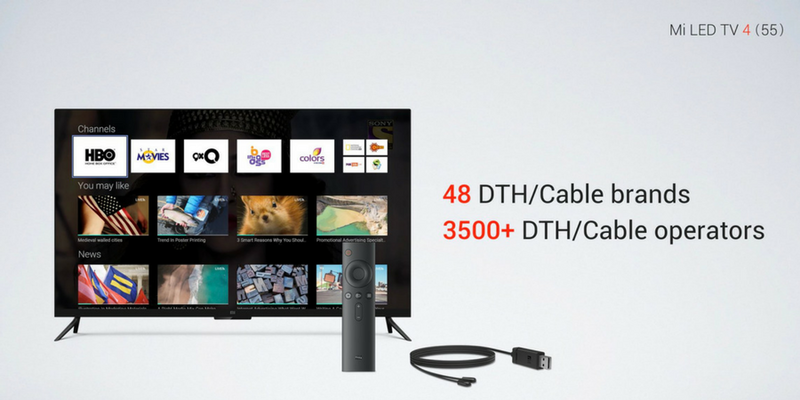 Xiaomi has recently launched Mi LED Smart TV 4 on February 14, 2018, as the best Valentine’s Gift to India. It comes with a 55-inch 4K HDr display and costs Rs 39,999. Mr. Wang Chuan, the Co-founder of Xiaomi, says that they want to bring the best TV product and the best user experience to India Mi Fans. And, the company claims is designed keeping in mind the Indian audience. So, here’s answering the million-dollar question. Is the TV worth the asking price? The short answer is yes! 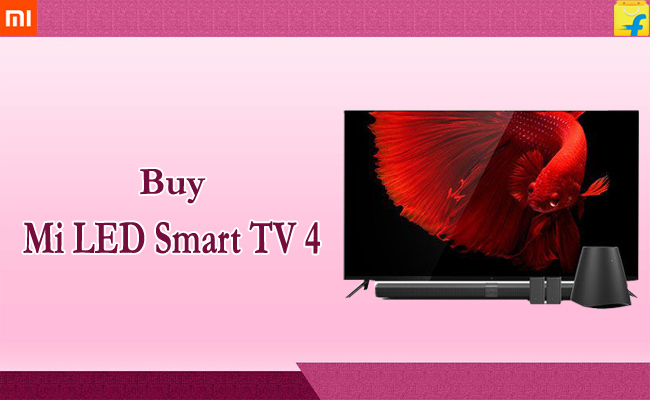 The Xiaomi Mi LED Smart TV 4 is undoubtedly one of the best looking smart TV available in the market. Looking at the TV one can quickly make out the company has invested a lot in its design aesthetics. The smart television is very slim with only 4.9mm thickness. You don’t even get smartphones which are that thin. The device has a thick bottom, where the company has placed all the internal circuit of the device. It comes with two metallic L-shaped stands and can also be mounted on the wall. Now, let’s talk about the display, the Xiaomi Mi LED Smart TV 4 supports a Samsung manufactured 10-bit VA panel. The 54.5-inch display provides a refresh rate of 60Hz and contrast ratio of 6000:1. The device features 4K resolution with 3840×2160 pixel resolution. The smart TV can produce colors with HDR capabilities. The TV is capable of producing 1,024 colors as per primary color rather than the 256 colors per primary color which is offered by many other smart TV within this price segment. The television offers 2 USB ports, 3 HDMI ports, an Ethernet port and the AV input. Along with this, the device also offers Wi-Fi and Bluetooth connectivity. 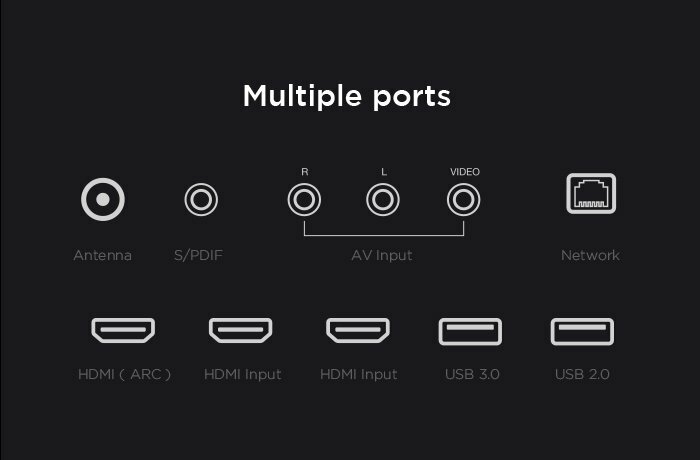 All these ports are placed on the rear of the device at the bottom. The minimalist design and bezel-less display of the Smart TV ensure that the viewers don’t shift their focus from the content to anything else. 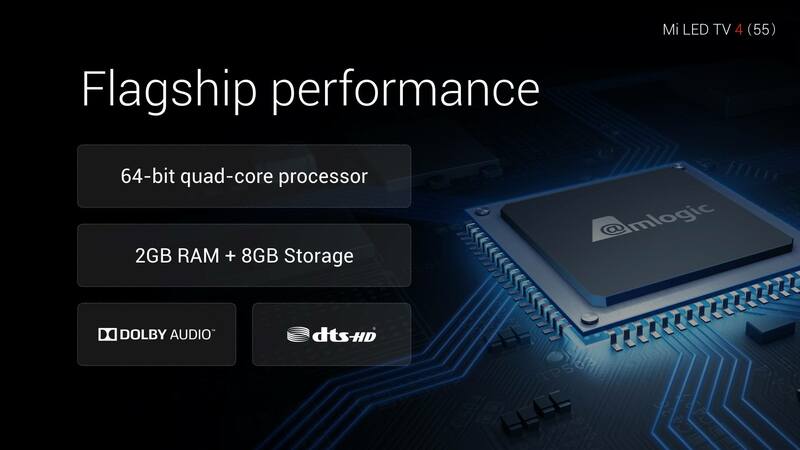 If we talk about the innards, the Xiaomi Smart TV is powered by a 64-bit quad-core Amlogic T968 chipset which is 1.8GHz. The product features 8GB of internal storage and 2GB of RAM. The company claims that this is for the software updates and apps and users will not be able to download any TV shows on the internal storage. Talking about the software, the Xiaomi Mi LED Smart TV 4 runs PacthWall is own OS based on Android 6.0. The key highlight of PatchWall is that it keeps all of the content at the front and you don’t need to search for it. Users may stream content from the numerous applications available. The company claims that the smart TV offers 500,000+ hours of content. At this point, the company has partnered with Hungama Play, Sony Liv, Alt Balaji, Voot Kids, Voot, and is focusing on some more associations. The user interface is quite clean, and you quickly get used to it. It looks similar to the interface of LG’s webOS, and it is also pretty interactive. You will observe thumbnails for the various Television shows and movies on the screen. Getting the cue from its TV design the corporation has additionally kept the appearance of the remote very simple. The remote is exceptionally sleek and come with 11 buttons. It is made out of plastic and supports two AAA batteries. The remote connects to the LED via Bluetooth, which means that you will no longer have to point the remote in a specific direction to make it operate. Furthermore, the TV remote also works as a universal remote, which means you don’t need to use the large remote provided by your DTH provider to control the television. The company also provides an additional accessory called the Mi IR set-top box controller that has to be purchased separately. Users need to attach the cable to the Television to enable them to use the remote for the TV along with the set-top box. 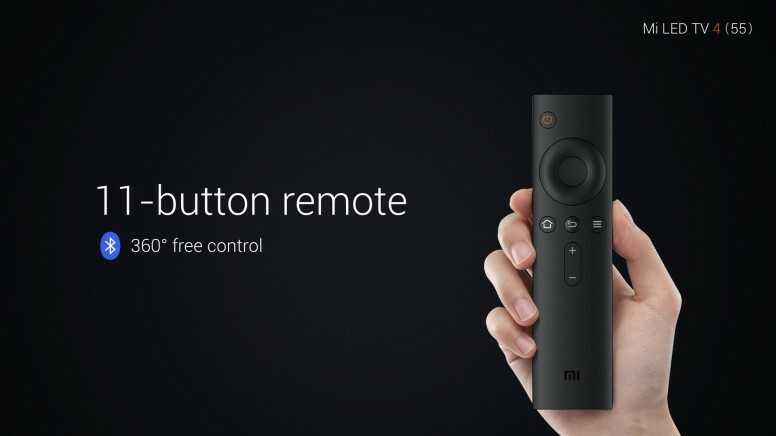 Users will also be able to control the remote with the app available on the smartphone. The company has also launched a mobile application which will enable users to control the Mi LED Smart TV 4. 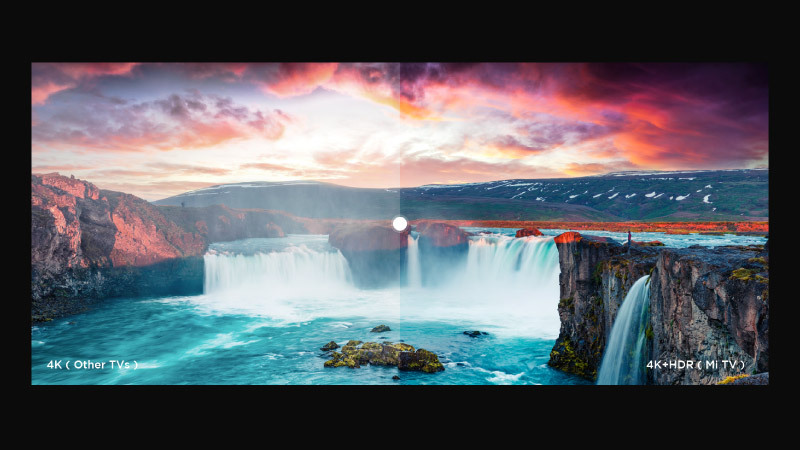 The app offers a clean and simple UI, and it also enables the users to take screenshots of the TV and save it on the phone. It also offers a feature called app, that allows users to open apps on the TV from their smartphones. The app also provided an option to convert the phone into a gamepad. If you are also planning to buy new mobile phones; click here to know the Top 10 Mobile Phone Brands in India (2018). 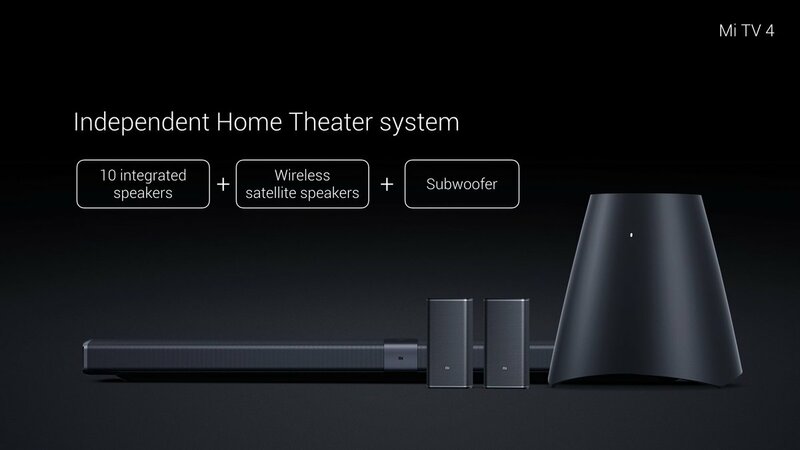 Along with this, the TV also offers support for voice commands so you can use that feature as well to look for the content. The OS also provides support for 15 Indian languages, and you can set the interface of the TV in your choice of language. 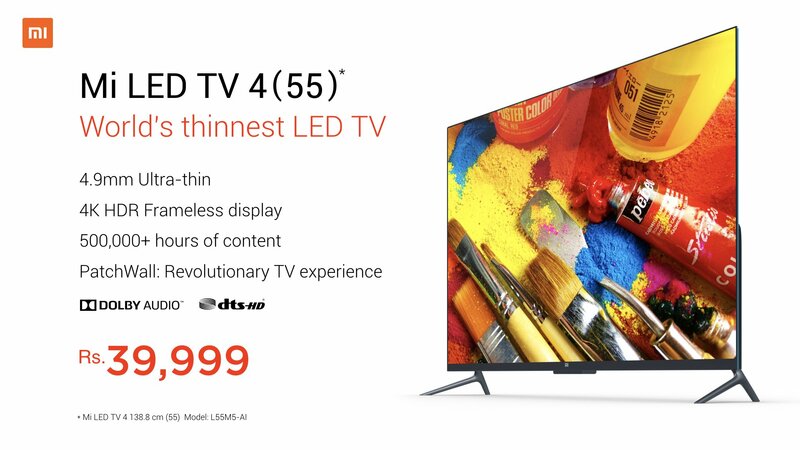 The Xiaomi Mi LED Smart TV 4 comes with a price tag of Rs 39,999. This is the only TV available on the market that offers all the high-end features at this price. Along with this, its minimalistic design and interactive operating system act as an added advantage. Unlike other manufacturers, the company also said that it will keep on rolling out timely updates for the TV in order to offer better user experience.